A skeleton crossword is a crossword where the black and white squares aren't given; you have to deduce them. Here's a generalisation of that idea to the Sudoku puzzle. 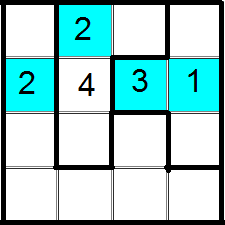 This is a generalised Sudoku grid; you need to ensure that each row, column, and region contains the numbers 1, 2, 3, and 4. 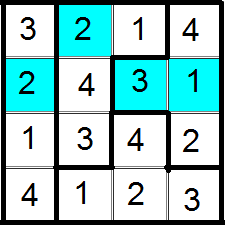 Unlike a normal Sudoku (but like these two puzzles), the regions aren't necessarily square (however, like a normal Sudoku, the regions are contiguous, and each has a number of cells equal to the side length of the puzzle). However, I haven't drawn the regions on the grid; you'll need to figure out what shapes they have for yourself. 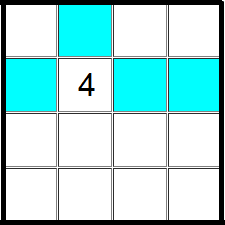 This works the same way as a Slitherlink: each clue specifies the number of edges of the square that are borders of regions (or equivalently, the number of adjacent squares that are either in different regions, or outside the grid). As you can see by looking at the grid, I didn't draw the clues on the grid either. Rather, there are just those shaded squares. 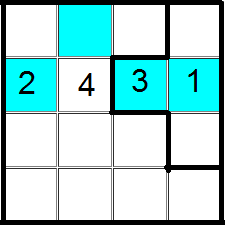 Each of the shaded squares contains a digit (1, 2, 3, or 4, although not necessarily one of each) such that it correctly clues both the shape of the regions of the Sudoku, and the number that goes in that square of the Sudoku. 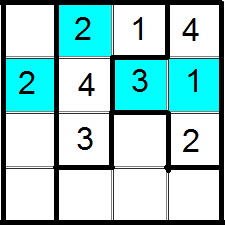 There's only one way to do it to make a solvable (generalised) Sudoku; not only that, the resulting puzzle also has a unique solution. What is the puzzle, and what is its solution? No clue in the Slitherlink can be 4, as that would mean the square is isolated. So the clues on the second row are 1, 2, 3, in some order. 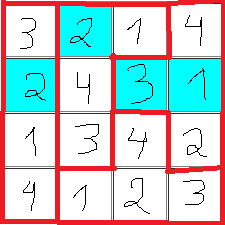 Bruteforcing (see rand's answer for details on this step), we realize placing a 1 in either the first or second squares lead to the first row becoming isolated and not part of any regions, or containing two of the same number, so the only possibility is to place the 1 in the third square. As we can see, it's mostly 2 and 3, with only a single possibility for 1 and none for 4. So all our shaded cells must be 1, 2, or 3, and those in the second row must be exactly one 1, one 2, and one 3, which means the second cell of the second row must be 4. 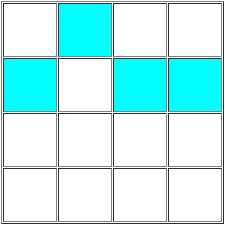 The third cell of the second row can't be 1, since that would require a T-shaped tetromino pointing left (meaning the fourth cell of the second row would have to be 2 and the first 3, but the only possible tetromino that can fit around the latter would make it 2), up or right (isolating the top right cell, contradiction), or down (meaning the fourth cell of the second row would have to be 3 and the third 2, but the latter must be 3 because the top row is a straight tetromino). The first cell of the second row can't be 1, since that would require a T-shaped tetromino pointing right, but then the second cell of the first row would have to be part of an L-shaped or T-shaped tetromino which would make both the last two cells of the second row 3, contradiction. Not the answer you're looking for? Browse other questions tagged sudoku dissection grid-deduction or ask your own question.